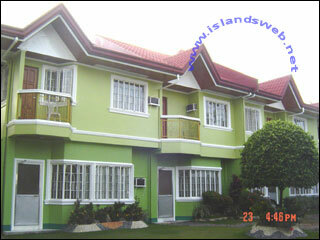 6-Unit Townhouse inside a private compound. Two (2) are 2-storey, 2-bedroom units while four (4) are single level, 1 bedroom units. Each unit is fully furnished with new appliances and furniture/fixtures. With wireless broadband internet access. Very accessible to public transportation. Furnishings: Cable TV, Refrigerator, oven toaster, stove, rice cooker, complete utensils for kitchen and dining areas, Furniture for living and dining areas, and bedrooms. Private compound in a safe neighborhood. Car pick-up and drop-off to and from airport can be arranged. 2 bedroom units: PHP 1,400/day or 30,000/month. 1-bedroom units: PHP 1,200/day or 26,000/month. Quoted rates already include payment for utilities.